AT LEAST 22 barangays in Bacolod City have suspected measles cases this year, an official of the City Health Office (CHO) said yesterday. City Health Officer Ma. Carmela Gensoli said from January 1 to February 11, Bacolod has a total of 53 suspected measles-rubella cases, affecting three-month to 45-year-old patients. Of the 61 barangays, Barangay Taculing has the highest number of suspected cases with seven. Others are Barangays Mansilingan with six; Barangays 14 and Bata, four each; Barangays Alijis, 35, Estefania, Handumanan and Granada, three each; Barangays Villamonte, Vista Alegre, Singcang-Airport and Tangub, two each; Barangays 10, 13, 26, 29, 3, 1, 6, Mandalagan, and Banago, one each. The Department of Health earlier announced that it has expanded the measles outbreak declaration to Central Luzon, Calabarzon, Western Visayas, and Central Visayas. Gensoli said it’s alarming since Western Visayas was already declared an outbreak. “We are appealing to our parents to bring your children to the nearest health centers and have them vaccinated because of the outbreak,” Gensoli said. She said they have a sufficient vaccines supply to immunize the children. 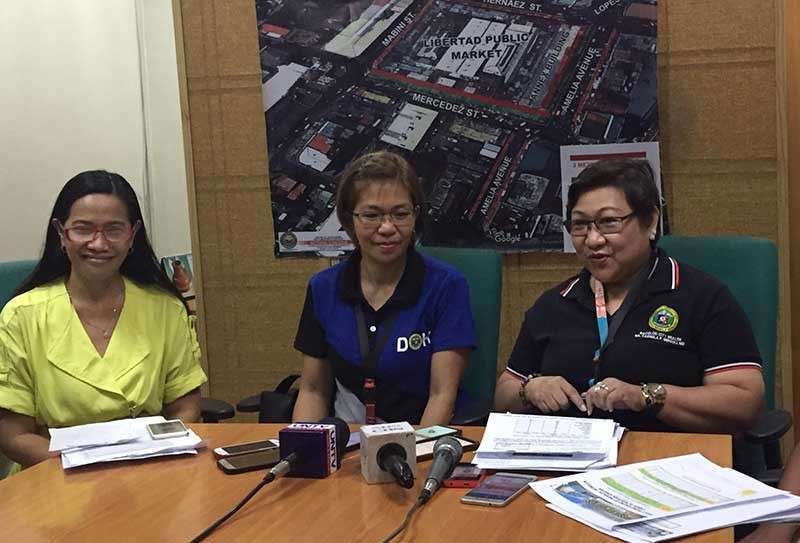 Dr. Grace Tan, head of the CHO Environmental Sanitation Division, said in 2018, Bacolod has 263 suspected measles cases with two recorded deaths. Measles is a highly contagious respiratory disease and is transmitted from person-to-person by sneezing, coughing, and close personal contact. “We want the general public to join us to fight against this virus or measles because this is a vaccine-preventable disease. Bring your children to the nearest health centers and have them vaccinated,” Tan said. Dr. Rosalie Deocampo, officer-in-charge of National Immunization Program of CHO, also said in 2018, they held the school-based immunization for Grades 1 and 7 in the public schools in Bacolod. She said out of 100 percent target, they only got 66 percent and 70 percent for the Grades 1 and 7, respectively. “So we still have the 30 percent of those who resisted the immunization because of the fear of Dengvaxia controversy two-years ago,” she added. Deocampo noted that they will review and will trace those children who failed to avail the vaccine because they are contributory to the spread of measles since this an outbreak already. “We need to immunize them to prevent the spread of measles,” Deocampo said. In response to the increasing suspected cases of measles in November and December 2018, Deocampo said they also conducted the supplemental immunization activity in various barangays. “We covered only 43 percent of our target from six months to five years old. So this time, we are trying to strengthen our campaign over this (immunization) and we will go back in barangay,” she said. Moreover, Gensoli also ordered all the barangay health officers on Monday, February 11, to put up a fast lane for patients with suspected measles. Gensoli said the health workers should prioritize the patients with symptoms of measles rashes, fever, among others. Meanwhile, Negros Occidental Governor Alfredo Marañon Jr. is appealing to the parents, especially the mothers, to bring their children to their respective health centers for immunization to contain the measles outbreak. Marañon said mothers should not fear of immunization because it is different from Dengvaxia which was used for dengue. The Provincial Health Office reported an increase of 3,333 percent increase of measles cases in the province in 2018. Marañon said the Provincial Government will wait for an advisory from the DOH as the measles cases in the province may also go down. Provincial Health Officer Ernell Tumimbang earlier said that massive vaccination is undertaken all over the province and that they are targeting children who have not completed the vaccination and those who were born and were not brought by their parents to the health centers as a negative result of the Dengvaxia controversy. According to health authorities, signs and symptoms of measles typically include fever, dry cough, runny nose, sore throat, inflamed eyes (conjunctivitis), tiny white spots with bluish-white centers on a red background found inside the mouth on the inner lining of the cheek — also called Koplik's spots.